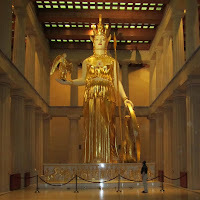 Want to visit the Parthenon, but don't want to get sucked into the impeding Greek civil implosion - Go to Nashville! The fact that this is news to some through no fault of your own is just a case of not knowing what is in your own figurative back yard. 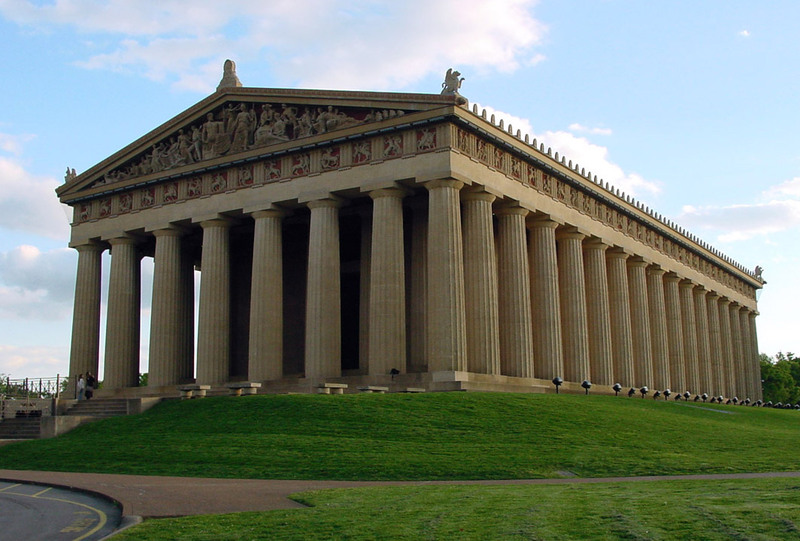 Raise your hand if you knew that in Nashville, Tennessee is an exact replica of the Parthenon, by exact I mean pretty damn exact. 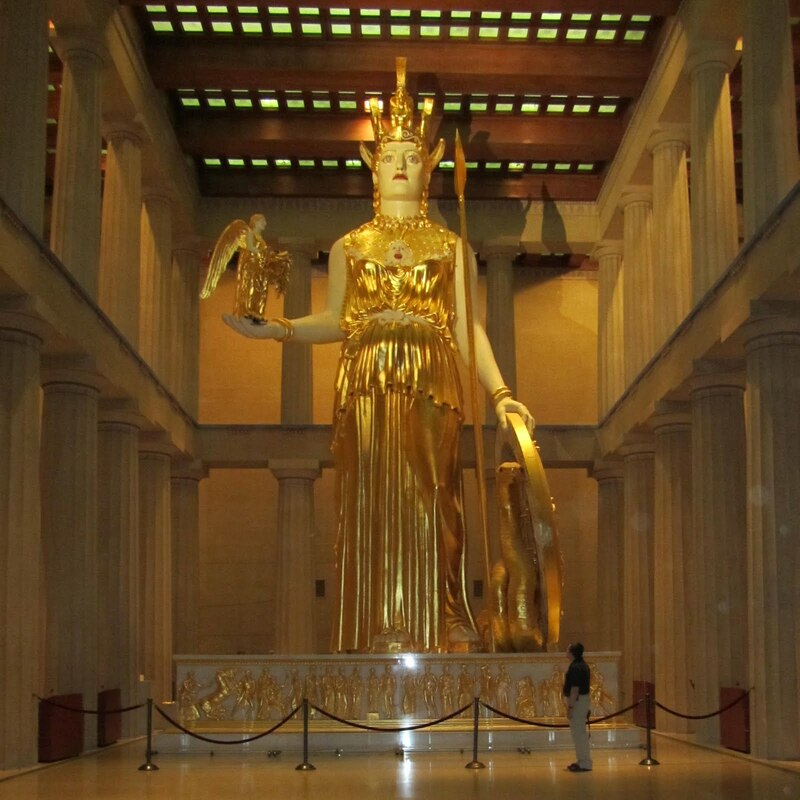 It even includes the massive 42 foot tall statue of the Athena Parthenos holding a taller than man-size statue of Nike in her hand. The building was constructed as the centerpiece of the 1897 Tennessee Centennial Exposition. Before the evolution of country music and the Grand Ole Opry Nashville was (and still is) called the Athens of the South. The building was born of the Neoclassical Movement and is a beautiful testament to the American Renaissance. The connection to Athens in Nashville's early history was so strong that after the exposition was over there was furor when it was slated to be taken down. It stood a good 20+ years before its temporary building materials could endure no longer. When it became apparent that building was going to collapse the city approved a permanent reconstruction. In 1990, the Athena Parthenos constructed by Alan LeQuire to the exact Phidias specifications completed this marvelous tribute to the original Greek treasury building of antiquity. Note - if you've seen Percy Jackson & the Olympians: The Lightning Thief you've seen this building. That is one big woman!